Wait, Seriously? That Was Him? Film's Greatest Chameleon. Okay, listen guys, I searched high and low and I can't figure out why chameleonic actor Andy Serkis decided to style himself as Wolverine's Uncle Scruffyface McPointyhair in that header photo. Maybe this is just what he looks like in his down time. Mayhap he wanders the streets of London with butter knives jammed between his fingers. That's fine, bub, whatever lights your cigar. But I'm not here today to speak to you of X-Men. What nerdy trifle, amirite? So let's talk Lord of the Rings. Peter Jackson has hired the lovely and talented Andy Serkis as the second unit director on his Hobbit films. If my highly expert knowledge gleaned from listening to all the commentary on the LOTR DVDs is correct, this is sort of a big deal. To celebrate Andy's directorial debut (in 3D, because of course it is), let's have a look-see at his various roles. Serkis is best known for his uncanny ability to dissolve completely into a role. Though often aided by make-up or CGI, his physicality and remarkable voice work are at the heart of every transformation. 'Ere we go. As Jennifer Garner's fussy but ultimately genial boss in 13 Going On 30, Serkis sports a posh accent, natty clothing and a ridiculously meticulous goatee. The "Thriller" dance number may be my favorite Serkis accomplishment. That is, until he opens up the inevitable "Serkis, Serkis" casino chain. That has to happen, right? Then every night he could do impressions like Rich Little? Serkis played the violent and villainous Rigaud in the award-winning miniseries "Little Dorrit." Aided by a prosthetic nose and a French accent so thick you could slice it with a brie knife, Serkis played up not only the darkness of the character, but the humor and theatricality as well. Dickens doesn't do one-note characters and neither does Serkis. Serkis played the tiny role of Kasim in the TV movie "Arabian Nights," but I wanted to include this photo because I wonder how dark-skinned a character needs to be before the acceptable "bronzing" make-up becomes the wholly unacceptable "blackface." Is there a numbered Pantone shade that make-up artists know they're not allowed to cross? Somewhere around Raw Umber? Just curious. Also, fezes are cool. Speaking of, hey it's David Tennant! Ten and Andy Serkis co-starred in the HBO film Einstein and Eddington. 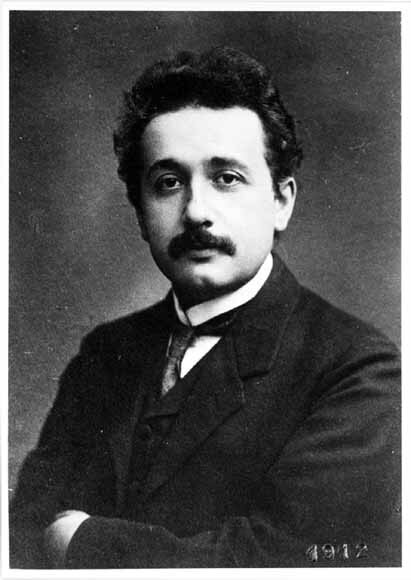 Serkis played a youngish Albert Einstein (pre-fright wig hair). The make-up is very subtle and I'm always impressed when biographical representations manage to imitate without replicating. Serkis employed a very light German accent and his depiction vacillates between the madness and the goofiness of the famous mathematician. While Serkis famously depicted the titular beast of Peter Jackson's King Kong, he also made an impression as the cockney cook, Lumpy. Drawling and cracking wise, Serkis stole every scene. I was really sorry when his character died and I'm really sorry he died in such a horrific manner. But mostly I'm really sorry I paid to see that film. Here's Serkis in his most famous role as Sméagol/ Gollum in the Lord of the Rings. Though he only appears in the flesh very briefly, Serkis made an indelible impact on the franchise, lending his voice to not only Gollum, but also various other characters including the Witch King who may or may not haunt my dreams sometimes. I couldn't possibly say. This last role has to be seen to be believed. Here Andy Serkis plays the popinjay choreographer in Mike Leigh's (sometimes tedious but often enjoyable) Topsy-Turvy. Please take a moment to watch him prance and preen in those impossibly tight pants. The man is a genius. There are many more, of course, that's just a smattering. I'll leave you with these two images, because they're just too neat not to share. Joanna Robinson would like to acknowledge that this post was inspired by a comment made by Jay. Don't say I never gave you anything, Jayseph.